27 years ago, I spent several sun lit days in Arles. I am happy to report that Arles remains a magical place. I had a great time and will blog later about all that I have seen (and eaten). I saw lots of Roman and medieval ruins. There were Viking raids apparently but much of the medieval is post Viking period. We are talking Les Baux and Aigue Mortes -- so Crusades and tournament time. My camera died -- apparently the battery became disconnected so I have lots of memories but few photos. And I ate some wonderful food, including an epic meal of 17 courses (not including the coffee at the end!). We had thought it would be 13 and the courses kept coming...The food was wonderful -- lots of flavour and creative use of vegetables. The surprise and wow factor was really there. The service was fantastic. The AAs for An Ideal Husband? have arrived so they need to be done over the weekend. 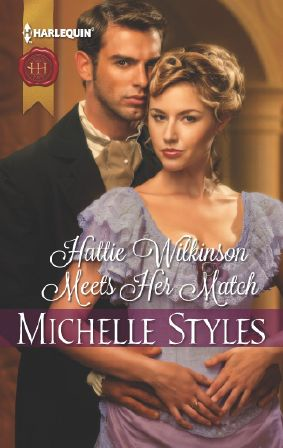 I also need to update my website ad get the Goodreads giveaway organised for Hattie Wilkinson Meets Her Match. etc etc. It was good to go away and not be near a computer for a week. South of France and my book, several squees and a giveaway. This blog has been quiet because I was finishing my latest Viking. It is now in my editor's inbox and I can go off to the South of France with my husband without a deadline hanging over me. I had a great time at AMBA.I stayed at Carol Townend and wore my voice out talking. It was refreshing. The editors were in buying mood for Presents. I was so pleased that they bought Sri Pammi, Michelle Smart and my dear friend Victoria Parker. I was very lucky to read Victoria's at an early stage and it is one of the best Presents I have read in a long time. My gut told me that the editors would agree and I was so happy that I was right! Huge squeeing went on when Vicotira came over for coffee. And huge squees to both Sri and Michelle Smart as they both worked really hard. As Hattie is available on the M&B and eharlequin websites next month, I have started to organise a few giveaways of signed books. The first happens this weekend with the Naughty or Nice Giveaway through Reading Romances. There is alsoa signed copy of His Unsuitable Viscountess up for grabs. I will be organising a Goodreads giveaway for Hattie and I have listened to various people so I will hopefully have most people's countries on the list. But this will happen after I get back next Friday. I truly hope that some day I will be able to enjoy the day as a normal day rather thinking back to the dreadful events of 2001. 11 years have passed but the events remain seared on my soul. As long time readers of this blog will know, I was tangently touched by the events and remain ever thankful that none of my family were injured or killed. On this day, I also think about the other people whose lives were affected in the time since. So much has changed as a result of those despicable acts. Hopefully some day various leaders will come to realise that human lives are worth more than a postage stamp and suicide bombing will become a thing of the past as discredited as the charge of soldiers across a field at cannons. The important thing is to remember and honour everyone but to live one's life how one wants to. It should be a normal day. Some day it will be again.